Completed 1945 as Empire Tescombe for M.O.W.T. (Anglo-Saxon). 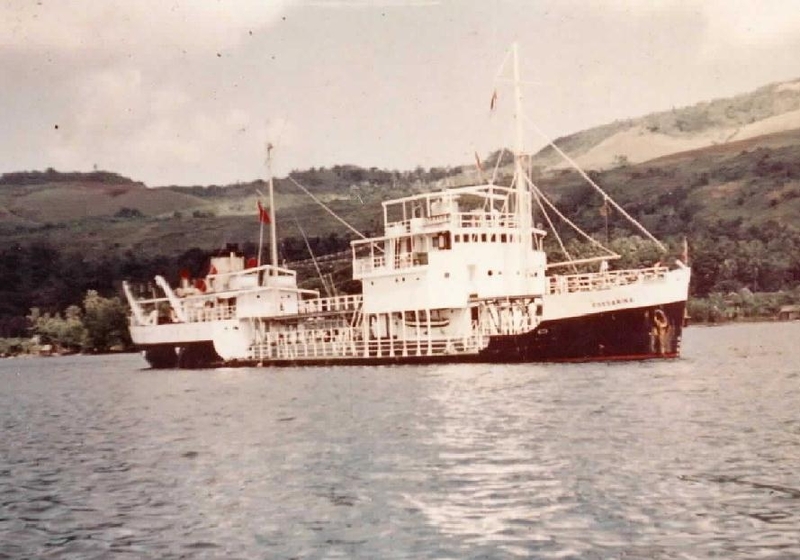 1952 purchased by STUK and renamed Fossarina. 7-12-1964 arrived Hong Kong for scrap. My grandfather, Captain T.B. Greenhalgh, was master of the Empire Tescombe in 1946 when they went to the rescue of a tug that was in dire trouble in the South China Sea. He wrote an article for Sea Breezes in 1951 (see the article at http://nanuq.tv/saving-a-tug.html). The salvage came to A?4,000 (a huge amount of money in those days when the average price of a house in the UK was A?1,400). Have you sailed on Empire Tescombe? Log in and add yourself as a sailor to the Empire Tescombe! Log in and add your personal story to the Empire Tescombe!